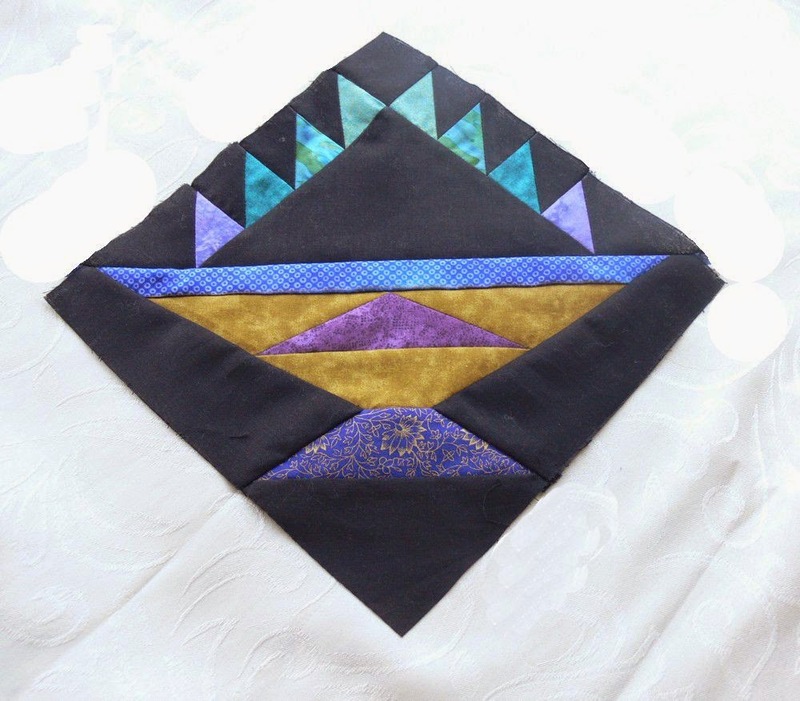 Val Laird Designs - Journey of a Stitcher: FMQ - my mark out of 10! 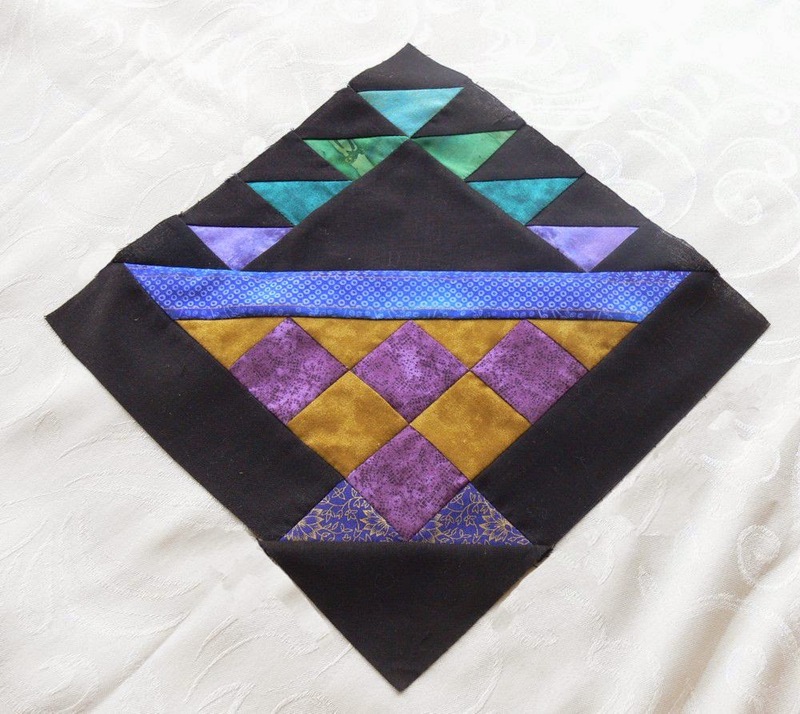 FMQ - my mark out of 10! 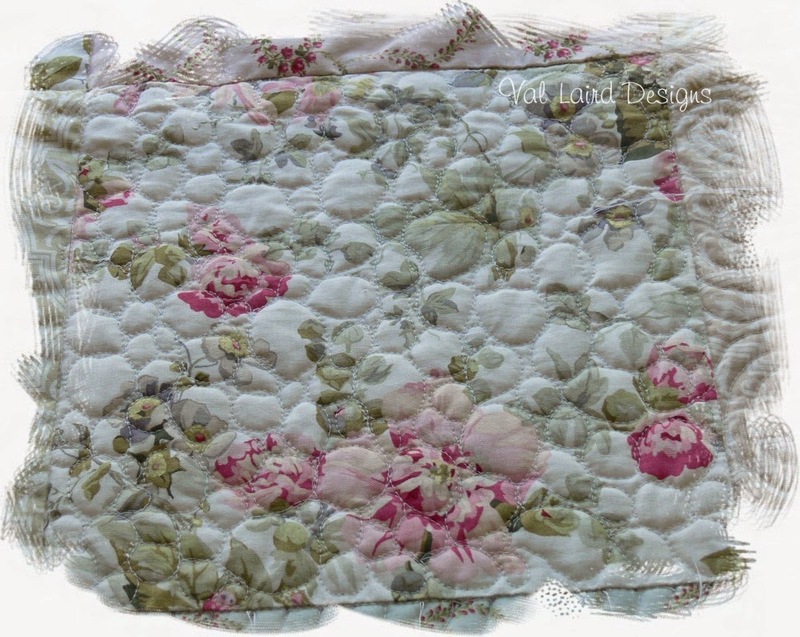 I went searching for something on the out-of-reach top shelf in my craft room last week, I didn't discover any hidden, long-forgotten treasures, but I did find a quilt which I was using last year to practise free-motion quilting. It has 30 blocks and I had quilted six or seven then put it up on that top shelf. It hasn't been looked at for eight or nine months. All the projects that I am working on at the moment have heaps of hand-stitching which I like to do in my recliner at night in front of the TV. Apart from school fund-raiser projects, I didn't really have anything much that I could stitch on the machine during the day. 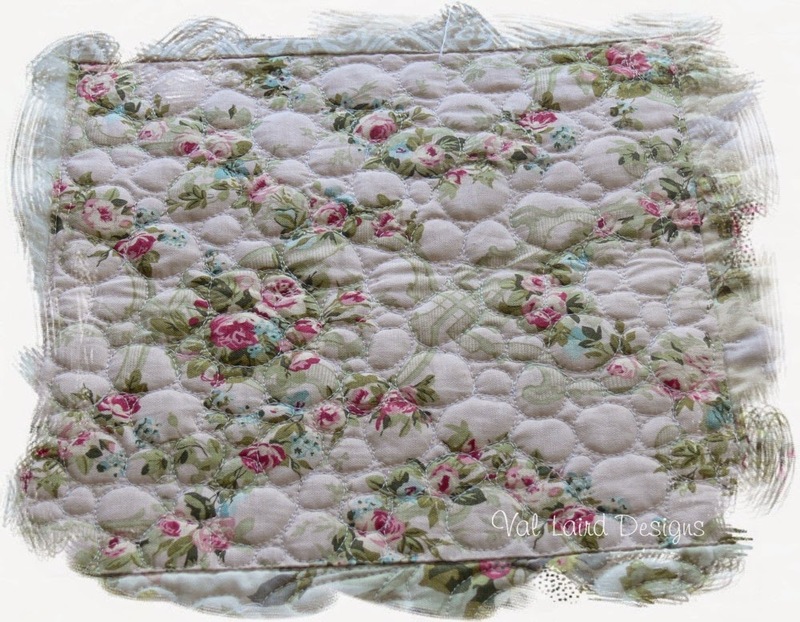 So this quilt was a good find and I decided to attack FMQ again! We are not great mates, FMQ and I. My theory is that some people have it and others just don't ... and I am definitely in the latter category. I send off my magazine quilts to have them professionally quilted. 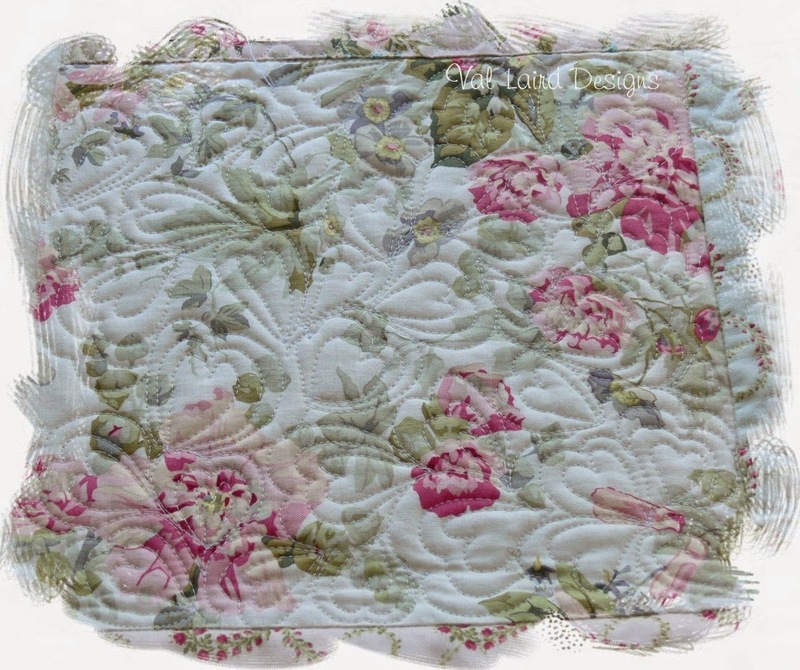 I will tackle something that looks good with straight-line quilting, but I balk every time if free-motion quilting is required. The problem is that there is often a project that needs just a little bit of FMQ, so it's about time I conquered it! 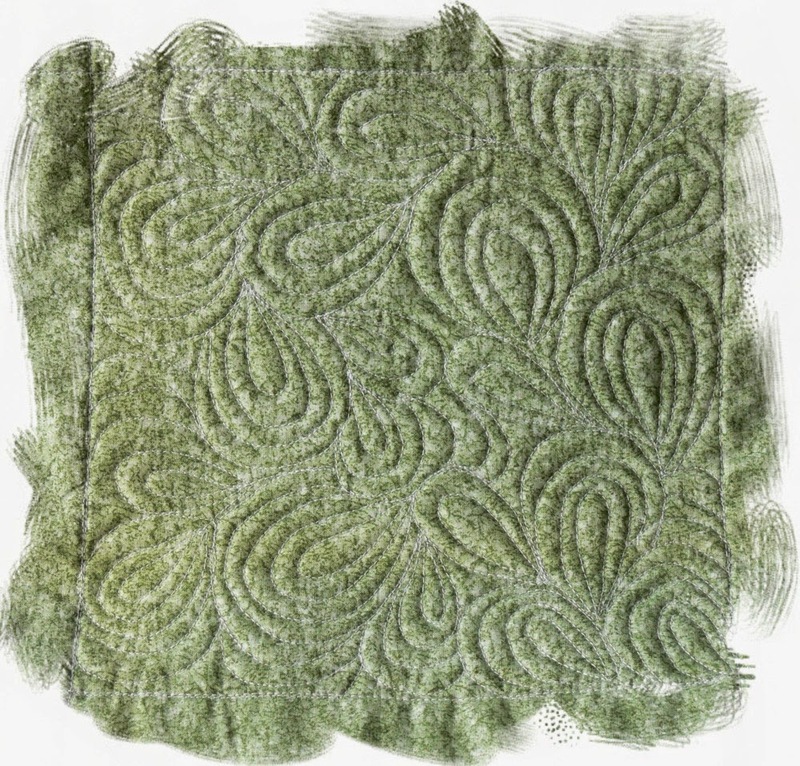 Everyone says to start with stipple quilting as that is the easiest. Well, guess what, it isn't for me! I have tried basic stippling and all sorts of variations and they just do not flow. I come up with a jerky mess which I would give 1 out of 10. I'm probably being generous to myself and a fairer assessment would be a half mark! The mark dropped back to 3 out of 10 as there was a teeny bit of travelling to do, but I slowed down on the next attempt and got my mark back up to a 4. So I have made my decision - forget everything else FMQ and concentrate on pivot designs. I have a lot more blocks to quilt so I'm hoping to get up to a pass mark (or maybe even better!) by the time I have finished! On top of the knowledge that my FMQ skills are so poor, I have come to the realization that my piecing skills leave a lot to be desired too! 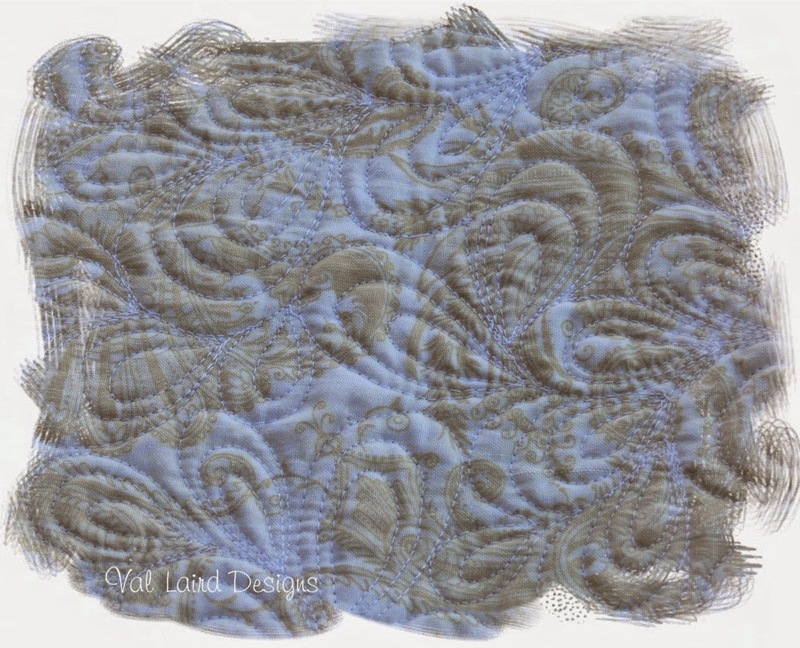 I am finding the gorgeous Jinny Beyer free BOM quilt design to be really quite challenging. After the third attempt and being almost in the situation where I would have to recut all the pieces and start again, the light-bulb moment came when I reread the instructions: Transfer the dots to the wrong side of your patches to assist you in matching your patches and sewing accurately. What a difference it makes, when you follow the instructions!!! This quilt is really going to be a great learning experience. Back in my comfort zone, I am happily stitching a new design which puts a smile on my face every time I pick it up! I hope you have a smile on your face this week, too. I had a smile on my face reading your post, Val. I can't imagine that you would find anything to do with quilting challenging. LOL! Personally I wouldn't know where to start and am always in awe of the beautiful work you do. It's good to have something safe to go back to after all those challenges! I am thinking I may be the same about FMQ - there are some bits that I can do sort of OK and some that just do not work for me..thanks for that light bulb moment. 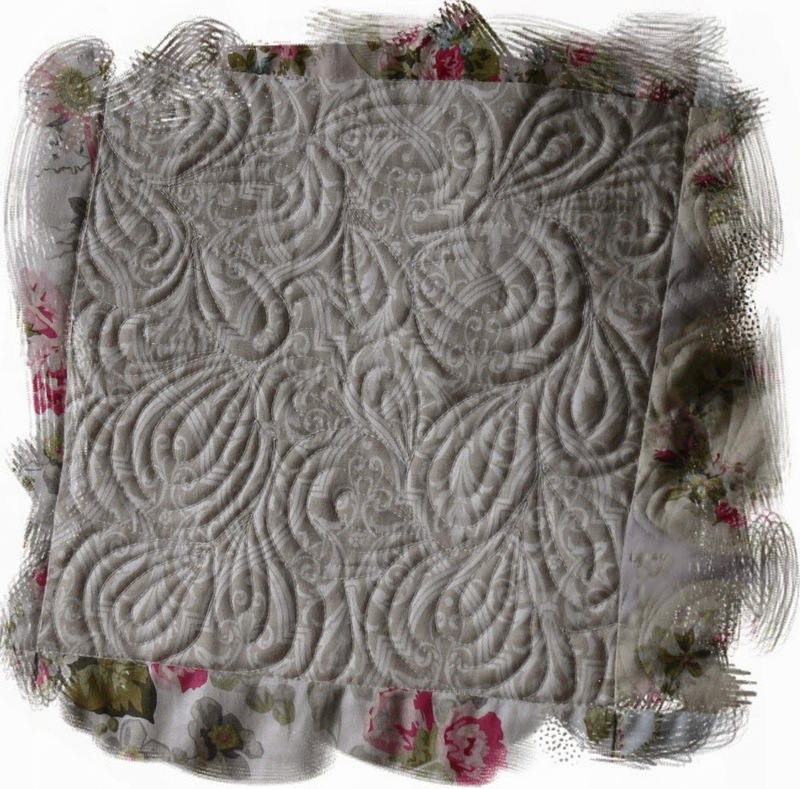 Your FMQ is lovely! Your baskets are so tiny - well done! LOL Val, you know what they say "when all else fails read the instructions". I reckon your quilting is lovely. I can't even do that much. I have done pebbles on a practice block at a class and was okay at it but can't get used to FMQ . They say to practice practice practice but then I have no time for stitching . LOve your bright blocks. I too had a smile on my face, knowing that on the rare occurrence that you make something that is not perfect, you will rate it poorly! I went so far as to buy a longarm because I couldn't get far with my baby machine. =) After ten years, I had to sell it because we retired into a 5th-wheel (a type of caravan) to live full-time and travel the US - no room for a longarm. Now that I have a house again, I want another longarm! I'm definitely in that group of it's not for my brain. I barely make straight lines with a walking food, actually. Yours looks really good to me! I liked the way you analyzed what works best for you.